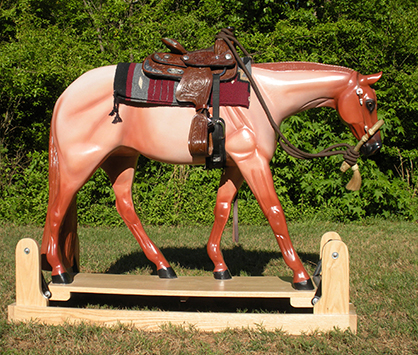 The completed Western Pleasure rocking horse that has taken the internet by storm! All images courtesy of Phil Henry. Thanks to social media, many of our readers and equine enthusiasts around the world have witnessed the blending of Phil Henry’s artistic vision and creative engineering genius in the form of the ultimate rocking horse. 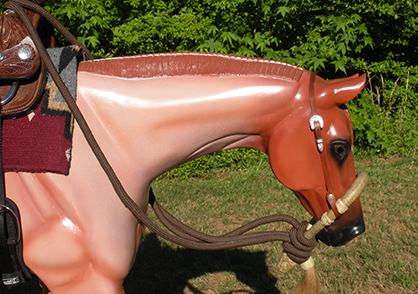 Unlike wooden rocking horses of the past, Henry’s piece has a modern feel because it was carved into the likeness of a Western Pleasure competitor. It wasn’t until after we contacted Henry about a interview that we discovered his rocking horse was inspired by a past cover of The Equine Chronicle! The 100-year-old Victorian rocking horse Henry restored for his granddaughter. 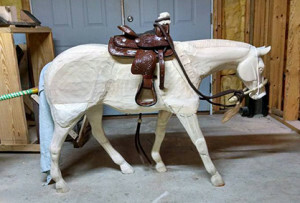 After completing the long-maned Victorian rocking horse for his beloved granddaughter, Henry then turned his sights to the restoration of a coin operated ride featuring Roy Rogers’ trusty Palomino companion Trigger. When he decided to carve his own Western Pleasure horse, Henry did extensive research on the discipline by reading books and watching videos. 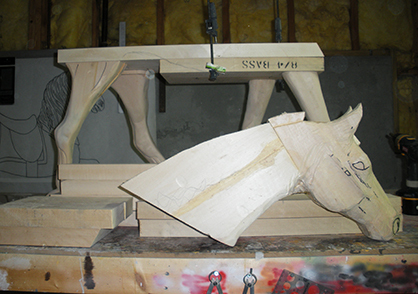 The process of creating this wooden rocking horse was not only time consuming, but at sometimes, tedious. “I worked six to eight hours a day for about six weeks. It was a great feeling when he was finished! I believe a person can do anything if they want to bad enough. I like taking on new challenges,” Henry says. For wood, Henry uses both bass and poplar, materials that have been used in carousel and rocking horses for over 100 years. The swing stands are made from oak and incorporate glider arms with bearings. After determining the width of each respective wooden piece, they’re then laminated together using glue and clamps. The legs, head, and neck of the horse are made from solid pieces of wood, while the body structure is a hollow box, to save on weight. After Henry finishes carving the legs, head, and neck, the pieces are then attached to the body for additional carving so it blends into one seamless structure. Carving is done with various gouges and chisels. 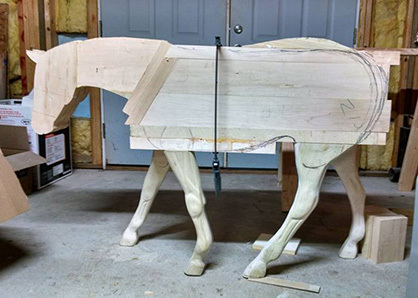 For this first piece, Henry decided to do a Western Pleasure horse because “it’s the most popular class at shows.” His initial idea was to create a prototype to demonstrate his skills. 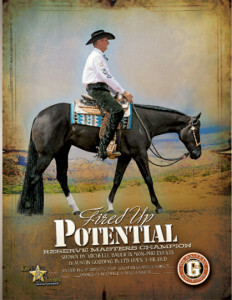 Now, he’s working on a Hunter Under Saddle horse. After that horse is completed, each additional horse will be made on a custom order basis. 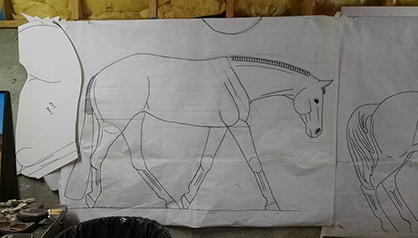 Blueprints for Henry’s next creation, the Hunter Under Saddle horse. 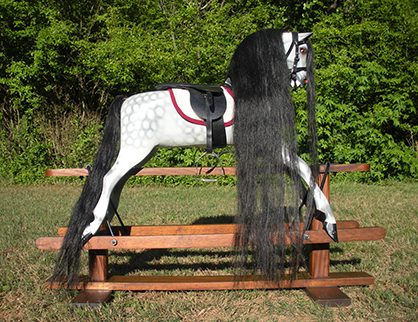 For more information on Phil Henry’s rocking horse creations, visit www.horsesthatrock.com or contact (678) 414-9011.